The streets around our cities and towns can be a hazardous place. The Luminite II jacket offers 360 degree visibility to increase your visibility on the road as well as delivering defence from the elements. The entire Luminite range has been designed to help keep you safe out on the road and through the city with exceptional visibility through EN471 standard reflectivity and other innovative features to keep you seen both day and night. The streets around our cities and towns can be a hazardous place. The Luminite II jacket offers 360 degree visibility to increase your visibility on the road as well as delivering defence from the elements. The entire Luminite range has been designed to help keep you safe out on the road and through the city with exceptional visibility through EN471 standard reflectivity and other innovative features to keep you seen both day and night. Made from a compact breathable 2.5 layer waterproof material with taped seams and storm flap covered zip to offer protection from the elements. The Hi-Viz green and yellow colour options are easy to see in the day and the whole host of reflective chevrons on all the colourways dishes out high levels of visibility at dusk or in the dark which can be seen from any angle. More visibility is added with the innovative integration of an LED light into the back of the jacket. There are plenty of other features to make this an all-round useful jacket including zipped chest hand warmer pockets a rear zipped pocket with a protective storm flap and adjustable hem cords and Velcro cuff adjusters to tailor the fit. 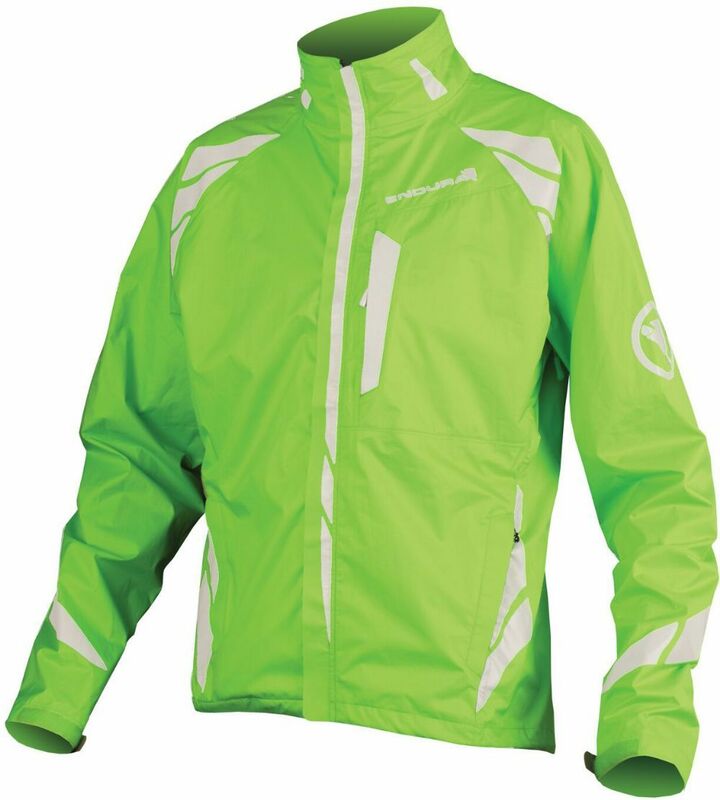 Please see below for delivery options for Endura Luminite 2 Waterproof Jacket Hi-viz Green. "Comfortable and High Quality waterproof jacket."